Sevinç Eryılmaz holds BA Degree in Political Science and International Relations from Boğaziçi University and MA Degree in Political Science and International Relations from Yıldız Technical University. Her MA thesis is on international migration and citizenship. She is a PhD Candidate at Political Science Department of Istanbul Bilgi University. She has been working at the Human Rights Law Research Center since 2001. She coordinated the project entitled “Strengthening Respect for the Human Rights of Women in Turkey” between 2005 and 2011. 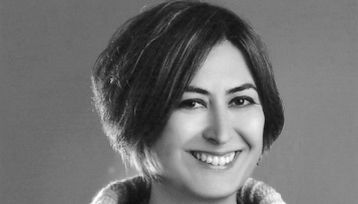 She is among the editors of the book titled “Women’s Rights: International Law and Practice” [published in Turkish] and among the writers of the book titled “'Who’ and ‘What’ is Protected by the Law on the Protection of Family? Narratives of Judges, Prosecutors and Lawyers” [published in Turkish]. Within the framework of the project titled “Women’s Collaboration for Gender Justice” implemented in cooperation with Mor Çatı Women’s Shelter Foundation, she edited a book titled “Why is It Difficult To Reach Data on Male Violence?” [published in Turkish]. She took part in the preparation of various reports and some awareness raising activities as a short term expert in the project titled "Technical Assistance for Prevention of Domestic Violence in Turkey" where the General Command of Gendarmerie is the Beneficiary. Research interests: gender, women’s human rights, violence against women, non-discrimination, international migration and citizenship.